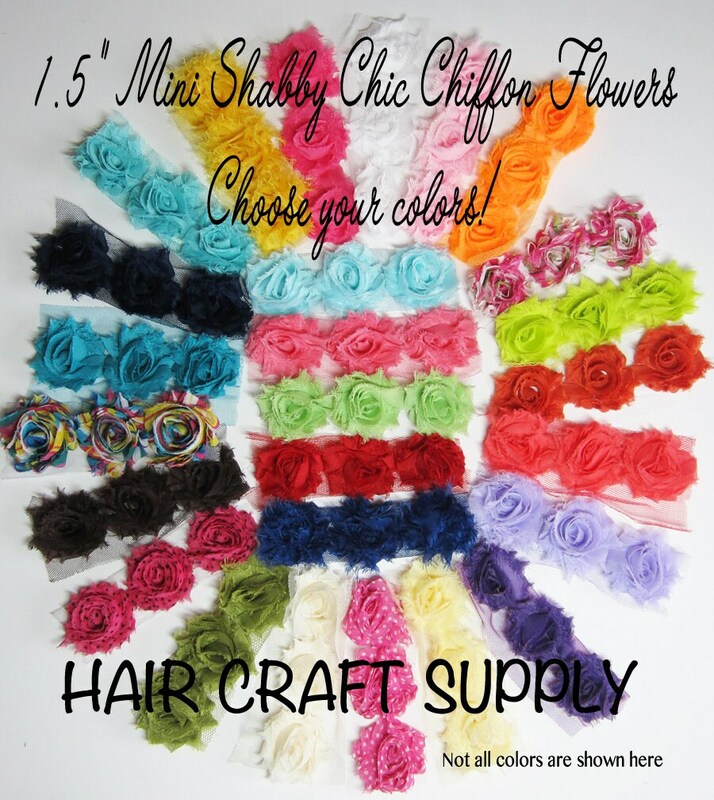 This listing is for 50 Shabby Chic Rosettes - ANY COLOR, ANY QUANTITY OF EACH - your choice. If you require a large amount of any one color, please message us for availability. Love the colors I chose! Love these little shabby flowers! Exactly what I expected and at a great price. Will be ordering again! The flowers were perfect for my mini sombreros!